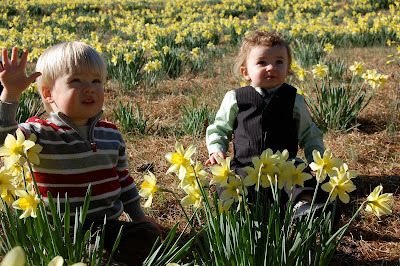 We spent a gorgeous Friday atop Wye Mountain running amongst the daffodils. More pics here. 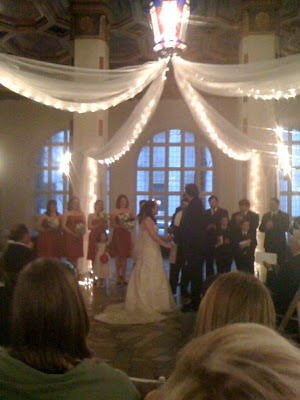 Saturday we attended a lovely wedding at the Albert Pike Hotel. Sunday we spent recovering and churching. I have been working on some invites (almost done!) and they may be my favorite thing I have ever designed. As soon as they are printed and mailed, I'll post the proof. Oh Em Gee, I love that dress!!! Where did you get it? it's actually from Dillards of all places. 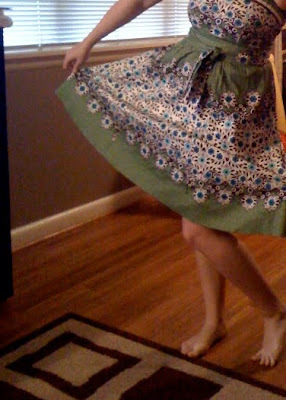 I bought it like three or four years ago for a wedding and totally forgot about it! It's only the second time I've worn it. 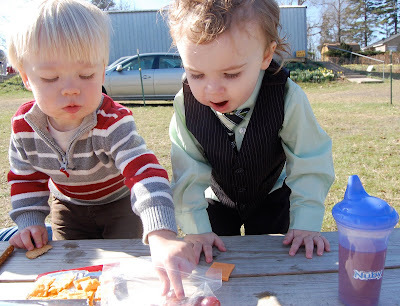 That dress is adorable! 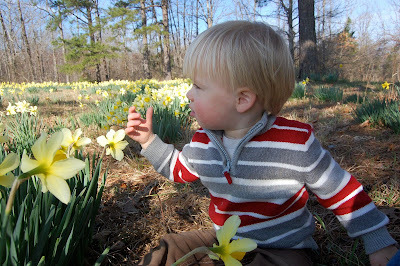 And Nate is too cute with the daffodils. 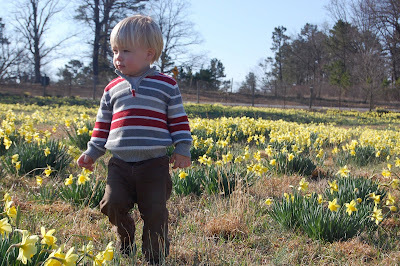 I want to come to LR just to take pictures in the daffodils! Also I love that dress.